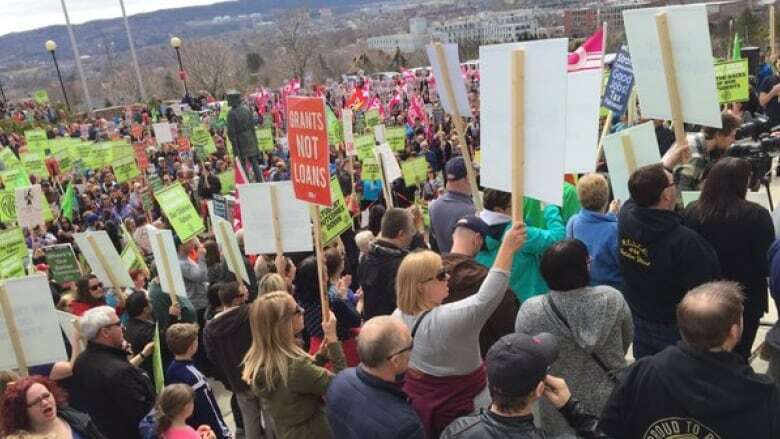 Thousands gathered in front of Confederation Building in St. John's on Saturday afternoon, after several of Newfoundland and Labrador's public sector unions pushed their members to come out in an effort to get government to reconsider its 2016 budget. Thousands of people surrounded the Confederation Building steps in St. John's on Saturday, gathering for the largest anti-budget protest so far this year. The weekend rally was fuelled by several of Newfoundland and Labrador's public sector unions, who urged their members to come out strong in an effort to get the provincial government to reconsider its 2016 budget. CUPE NL President Wayne Lucas gave one of the day's most passionate speeches, hitting on most of the familiar targets for opposition to this year's provincial budget. "I have never seen a government in all my days that was so callous, which is so mean-spirited, which doesn't care for Newfoundland and Labrador," he said at the top of his remarks. Protesters rallied against the Deficit Reduction Levy and the cuts to education, but also made note of some of the newer revelations in the days since Newfoundland and Labrador's budget was announced. "How on earth does it make any sense whatsoever to close 54 libraries across the province just to save a million dollars?" asked Lucas. "This is an attack on women, this is an attack on literacy...this is an attack on the poor." Protester Kari Brown, who looked on from the back of the crowd, agreed. "Like my sign says, money for [Ed Martin's] severance but no money for libraries? It doesn't make sense to me." The Newfoundland and Labrador Federation of Labour (NLFL) organized the protest, getting its members to meet at the Arts and Culture Centre at 11:30 a.m., with a march to Confederation Building for noon. Unions representing the province's teachers, nurses, students and public sectors workers all rallied their members to attend the demonstration, which has been coined #NL_RISING. Different unions and groups started their own rallies at different locations such as College of the North Atlantic and the Memorial University clock tower, before amalgamating into one single protest at Confederation Building. Speakers from CUPE, NAPE and the province's nurses union took to the microphone. Check out our Facebook video of part of the protest below, or click here if you're on mobile. Finance Minister Cathy Bennett, the target of much of the budget-related anger so far, sent a statement to reporters just before the protest began. She commended the protestors for their "deep interest and passion for our province and its future." "The decisions we have made follow consultations with hundreds of people in our province," she wrote. "People told us to make the tough decisions and to make them quickly in order to correct the fiscal situation." The government has already said that no major changes will be made to this year's deeply-unpopular budget. 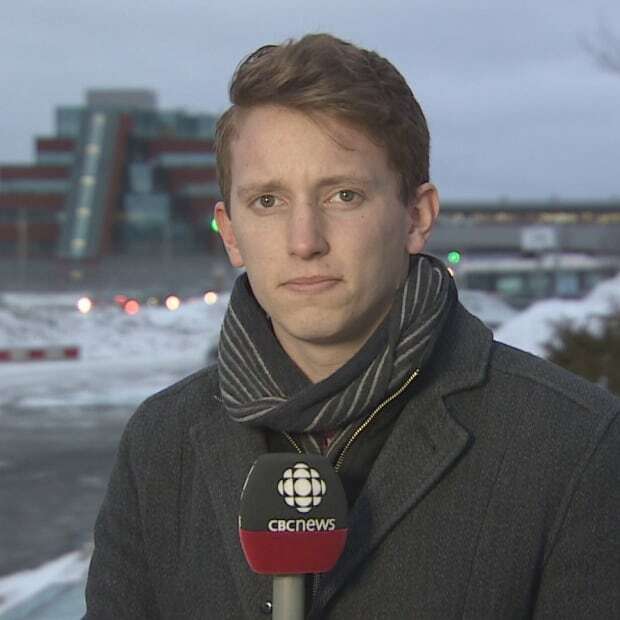 You can also view the CBC NL live blog below to follow social media posts from protestors and our reporters during the demonstration, or click here to see it if you're on mobile.